Laurie Niemer hopes her passion for the respiratory therapy field is contagious so that her students can embark on a career as successful as her . It started in 2003 when, newly divorced with one of three children still at home, Niemer began looking at employment options. After she began taking classes at Macomb, she attended a Respiratory Therapy program open house and that is all she needed to convince her that she had found her calling. Just before graduating from Macomb in 2005, Niemer was hired by St. John Hospital after completing her clinical experience there. She has provided respiratory therapy to patients in the neonatal, pediatric, ICU and ER departments. One of the most gratifying moments in her career, however, didn’t occur in a hospital or a classroom. It was when the daughter of a friend reached out to Niemer on Facebook for information on how to deal with her young son’s asthma attack. So dedicated is Niemer to the respiratory therapy field that she applied to serve on the Michigan Board of Respiratory Care and was appointed to a four-year term by Governor Rick Snyder last month. Niemer holds a Bachelor of Science Degree in Respiratory Therapy from Carrington College and a master’s degree in Education from Northeastern University. 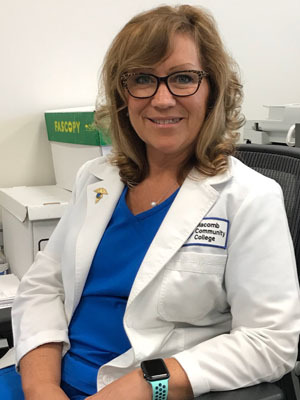 She worked as clinical coordinator of the Respiratory Therapy program at Oakland Community College before accepting the full-time teaching and clinical coordinator position at Macomb in 2015. Sarcona earned an associate degree in graphic and commercial art from Macomb in the 1990s and began a successful freelance career. He returned to the College in 2002 as an employee, working full time as a technician in the Information Technology Department and teaching part time in the MACA program. He subsequently earned a bachelor’s degree in mass communications from Rochester College and began teaching full time in 2008. 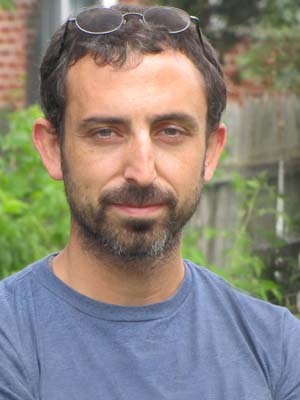 While students in the classes he teaches learn on the most current 3D and Computer–Generated Imagery (CGI) software, Sarcona insists that they have a firm foundation in basic design principles that he believes will, ultimately, be more enduring in their career. Recently, Sarcona’s students got to use both tools and techniques on the design of the torch that will be used in the Macomb County Bicentennial Torch Relay and will light the celebratory fireworks display in downtown Mount Clemens on June 22. As a human resources (HR) executive, Angela McLean walked a fine line between service and finance. It’s what prompted her to earn an MBA from Wayne State University and what infuses her teaching in Macomb’s Business Management program. 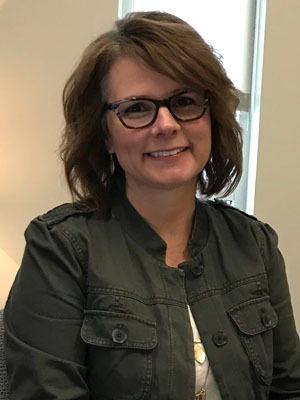 McLean joined Macomb’s business faculty in 2008 after realizing that conducting employee training was the most fulfilling aspect of her HR duties. 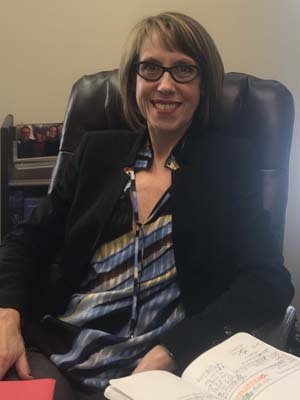 In her role as Macomb’s lead faculty on the Goldman Sachs 10,000 Small Businesses initiative, McLean teaches leadership courses to CEOs and other decision makers at Wayne State University and at Babson College in Boston, home base for the initiative. McLean’s experience also includes five years of running her own small retail shop – designing and printing elegant wedding invitations. It’s characteristic of her mission to stay on top of business’ constantly changing dynamics. Although she holds the highest professional certifications in human resource management, for example, McLean spent last summer as an HR intern with Quicken Loans in Detroit. Also gratifying is teaching at the college where she got her start, before transferring to Michigan State University (MSU) and earning a bachelors degree in business management. When Rick Gordon stands in front of a homeland security class at Macomb’s Public Service Institute, he strives to inspire each student to follow in his footsteps. Gordon has patrolled the Mexican border, went undercover for a year with the federal Drug Trafficking Task Force, headed up regional U.S. Border Patrol recruitment efforts in Washington after 911, was deployed as a reservist to Southeast Asia and served in the Office of the Chief Master Sergeant for the Air Force at the Pentagon. 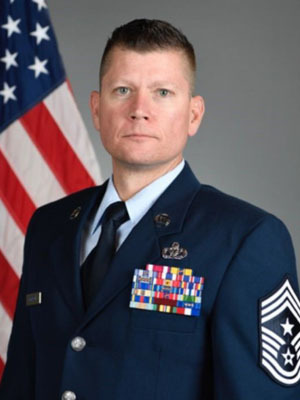 He’s also earned two associate degrees from the Community College of the Air Force and bachelor and master degrees from Central Michigan University, and is a distinguished graduate of the Non-Commissioned Officer Academy at McGhee Tyson Air National Guard Base in Tennessee. Like his students, Gordon started out at Macomb, enrolling in its Fire Science program in 1987 after graduating from Bishop Gallagher High School. Gordon joined the U.S. Air Force Reserves in 1991. He spent three years assigned to Selfridge Air National Guard Base as a firefighter to the 927th Civil Engineering Squadron, before being hired by the U.S. Border Patrol and deployed to New Mexico for six years. Reassignment to the northern U.S. border brought him back home, where he signed up with the 127th Wing of the Michigan Air National Guard. The 110th Attack Wing, of which he was appointed command chief last October, is headquartered at the Battle Creek Air National Guard Base. Gordon commutes between Battle Creek and his home in Macomb County, which he shares with wife, Laura, and their three children. The mission of the 110th includes remote piloting of the MQ-9 drones, agile combat support, and cyber defense. Gordon is responsible for advising the base commander on all matters related to the health, morale and welfare of the base’s enlisted personnel, which number about 700, and their families. While humanities professors are known to visit European cathedrals to better share their architectural and acoustical wonders with students, few have likely witnessed the performance of a piece of music they have composed in one. Macomb Professor Stuart Scott, however, is an exception. “It was an honor,” says Scott, whose Requiem Brevis was performed by the Belfast Philharmonic Choir on Friday, Nov. 3, in St. Anne’s Cathedral in Belfast, Ireland, with Scott and his wife Cindy in the audience. Scott’s Requiem, a musical composition that expresses the sadness of death, was commissioned in 2014 by the choral group Vanguard Voices. 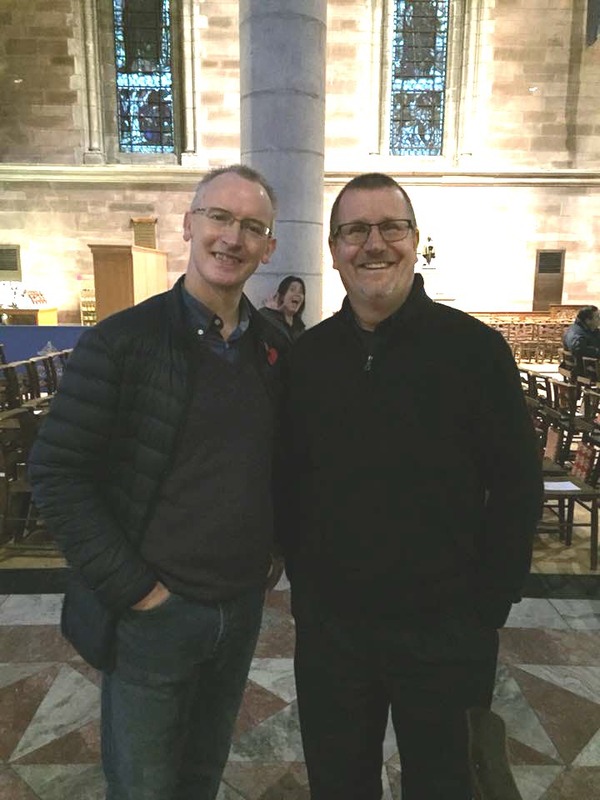 The invitation to have it performed at St. Anne’s by the Belfast Philharmonic came from the choir’s director, Stephen Doughty, shown here with Scott (right) in the Belfast Cathedral. Doughty had heard the piece, composed for an eight-faced sanctuary, on a choral directors’ networking site. A professor at Macomb for 30 years, Scott holds a bachelor’s degree in voice, a master’s in music performance and a doctorate of arts, all from Ball State University. One of the first professors at Macomb to embrace online learning, he appreciates the deeper dimension it can bring to art and architecture. Not surprisingly, Scott didn’t miss a lecture when he was in Ireland, providing his students with a literal distance learning experience as he toured that country and Germany as well. In addition to teaching humanities, Scott directs and performs with the College’s alumni ensemble. He has also directed Macomb’s other choral groups in the past, stepping down this year to make way for a newly created full-time choral activities director, a position for which he had lobbied. A successful freelance composer, Scott’s musical career forms a bridge of a different sort, between his perspective as a working artist and his students’ pursuit of their own creative self.